These IT companies are among members of the “Robocall Strike Force” that held its first meeting on Friday with the US Federal Communications Commission. The strike force will report to the commission by Oct. 19 on “concrete plans to accelerate the development and adoption of new tools and solutions,” said AT&T Chief Executive Officer Randall Stephenson, chairman of the group. FCC Chairman Tom Wheeler in July urged major companies to take new action to block robocalls, which often come from telemarketers or scam artists. 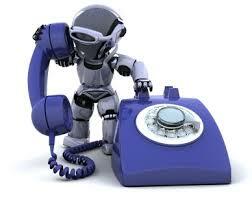 Calling it a ‘scourge’, Wheeler said that robocalls are the No. 1 complaint from consumers. The FCC does not require robocall blocking and filtering but has strongly encouraged phone service providers to offer those services at no charge.The strike force brings together carriers, device makers, operating system developers, network designers and the government. Other companies taking part include Blackberry, British Telecommunications Plc, Charter Communications, Frontier Communications, LG Electronics, Microsoft, Nokia, Qualcomm, Samsung, Sirius XM Holdings, T-Mobile US and US Cellular Corp.
Apple, Google, AT&T join hands to crackdown on ‘Robocall’ 0 out of 5 based on 0 ratings. 0 user reviews.